AKIPRESS.COM - Mark Zuckerberg became $1.7 billion richer on Wednesday after Facebook FB +0.32% stock rose 2.3% in regular trading on the news that Instagram is rolling out a new feature: Instagram television, Forbes reports. The bump makes the Facebook founder and CEO the biggest winner over the past day of any billionaire. Forbes updates all billionaire net worths throughout trading hours daily in our Forbes Real Time Rankings. Since its IPO in May 2012, Facebook stock has risen more than 428%, making Zuckerberg the fifth-richest person in the United States today with a fortune that Forbes estimates is $77 billion. Instagram founder and CEO Kevin Systrom, 34, is also a billionaire, with a net worth that Forbes estimates is $1.67 billion. Zuckerberg had the foresight to acquire Instagram in 2012 for nearly $1 billion, when it had just 30 million users. The photo-and-video sharing app now has 1 billion monthly active users, including a robust set of social media celebrities and influencers. Facebook, which competes with popular mobile apps such as YouTube and Snapchat, has been intensifying its focus on video content over the past several years. In 2016, Instagram launched its version of Snapchat “Stories,” which let users share ephemeral photo and video clips, annotated with stickers, GIFs and text. (Instagram’s feature now attracts more users than all of Snapchat.) And last year Facebook created a video tab within its flagship app called Watch, which the company has filled in part with content that it paid studios and news partners to create. Instagram’s bet on video was underscored on Wednesday when CEO Kevin Systrom announced the debut of its long-form video app and tab at a posh event space in San Francisco, after a live dance performance by Instagram stars. 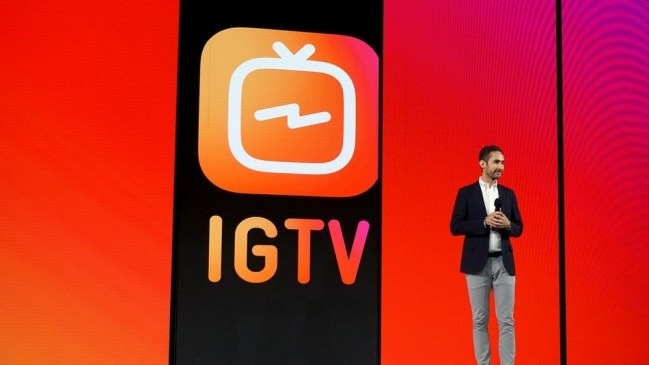 Now creators can make videos up to an hour in length (up from 60 seconds previously) for a new stand-alone app called IGTV. These videos can also appear in an IGTV tab within Instagram’s flagship app.